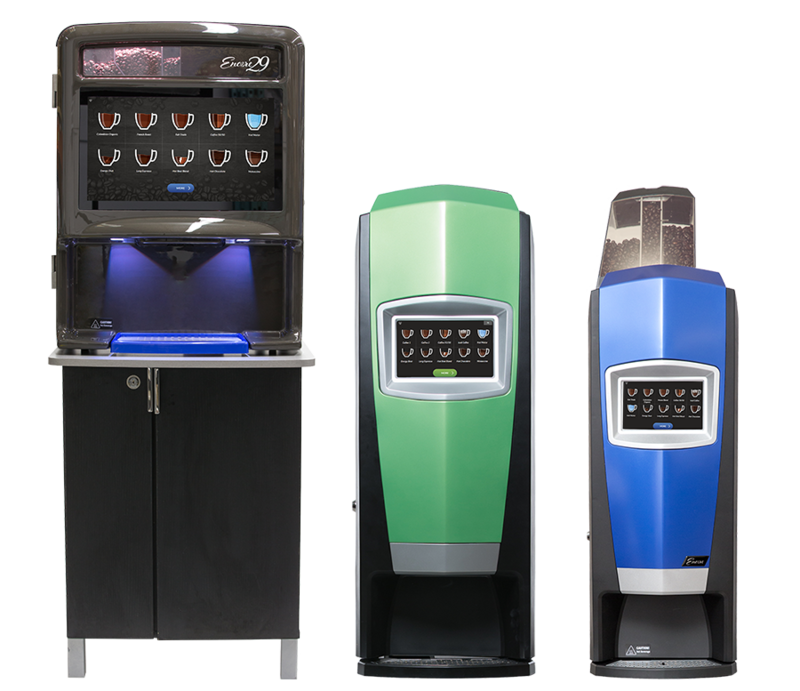 Large drink variety and customizability per user. Daily rinse cycle, cleaning of the drip tray and product replacement (beans and powders). Emptying of the waste bin as required. With a new easy maintenance design, with 3 bean types and remote management, this solution is perfect for a robust solution. A super compact design, available in 5 colors, offering 3 bean types, with an intuitive interface. A super compact design, available in 5 colors, accomodating 2 ground coffee types with Encore’s same intuitive interface.